Dr. Joann L. Maruszak D.C.
Dr. Joann Maruszak D.C. received her Doctorate degree from Palmer College of Chiropractic in 1996 and her B.S. in Biology from the College of St Francis in 1992. 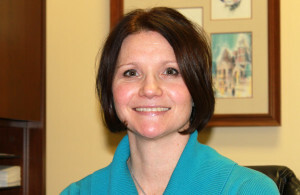 She opened Minooka Family Chiropractic in 1996. She is certified by the National Board of Chiropractic Examiners and licensed by the State of Illinois. She is a member of the Illinois Chiropractic Society, ICA Council of Chiropractic Pediatrics, Palmer Alumni Association, and the Laser Pain Management Association. 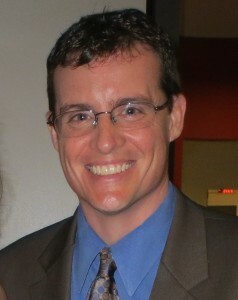 Dr. Maruszak is an active member of the community. She lives in Channahon with her husband Ron, and their two children Emily & Evelyn. Dr. Joann Maruszak has over 18 years of experience in practice and has helped thousands of patients achieve better health through chiropractic, laser therapy, lifestyle changes, and exercise. She regularly attends seminars and classes to better serve her patients. At Minooka Family Chiropractic, we are focused on providing our community with the highest level of Chiropractic care. We will make every effort to exceed your expectations. We are committed to helping you achieve good health, and here to help guide you on your way to wellness. Hello! My name is Jennifer. I have been a CA with Dr. Joann since August 2005. I have been in the chiropractic field for 9 years, working as a CA and also as a patient. I enjoy seeing so many people benefit from Chiropractic care. My husband, Dan, and I live in Channahon . We also have an automotive business. We have two children. I love my job and appreciate the opportunity to share Chiropractic with you! Hi! My name is Nicole. 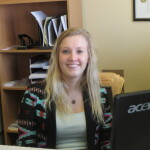 I am a new staff member, joining the Minooka Family Chiropractic team in July of 2013. Prior, I was a patient here for 7 years, enjoying the many benefits of Chiropractic care. I really like helping patients as I pursue my studies at Lewis University. Our office has a great environment. I like working here and introducing others to Chiropractic. Hello, my name is Ron. I have been with MFC since its start in 1996, shortly after marrying my high school sweetheart! Over the years, I have worked with all aspects of the office. Currently, I mostly oversee operations and accounting duties. As a patient, I mostly see Dr. Joann for headaches, and get adjusted regularly. It has been rewarding to be part of the community for almost 20 years, and see so many patients lives changed by chiropractic. We have been in business at the same location for almost 20 years. Dr. Joann’s practice has been built mainly through referrals, which says a lot about our practice. 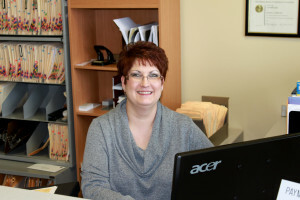 Dr. Joann cares about every single patient she has, and strives to make each patient better. At Minooka Family Chiropractic, you are not just a number, but become part of our MFC family. Dr. Joann will address your concerns and treat your individualized needs with compassion and the highest quality of chiropractic care. It's a great day for chiropratic! If you have any questions, or want to come in and learn more about us, Call (815) 467-0200.